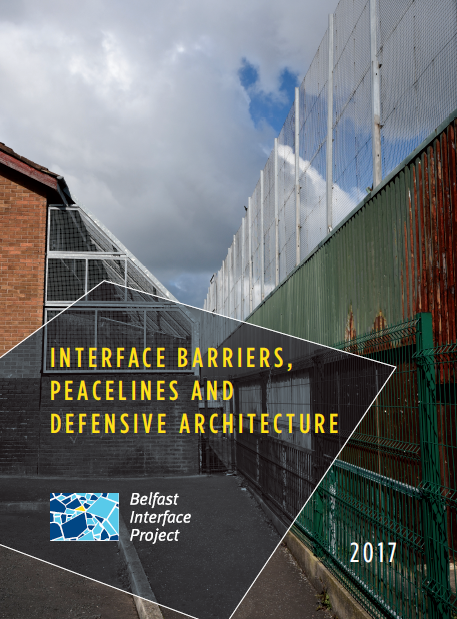 In 2012 Belfast Interface Project published a study carried out by the Institute for Conflict Research to identify and classify the known security barriers and associated forms of defensive architecture in residential areas of Belfast. 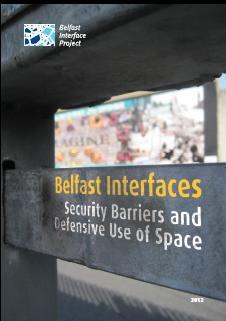 This new publication seeks to update that research regionally and define what progress has been made during the intervening 5 year period to 2017 on ‘reimaging’, ‘reclassifying’ and / or ‘removing’ interface barriers and defensive architecture across Northern Ireland. This document draws significantly upon this latest research by The Senator George J Mitchell Institute for Global Peace, Justice and Security at Queen's University Belfast while also bringing together photographs and past information from previous BIP research projects on interface walls and barriers. This examination attempts to provide an overview of security structures, together with a comprehensive listing, including new photographs and descriptions of defensive barriers and interface walls across the region.